The Cato Institute features an illuminating interactive map on their website labeled the Public Schooling Battle Map. This particular map marks conflicts within the American public schools from 2001 through 2013. Such conflicts include disagreements concerning curriculum, freedom of expression, human origins, moral values, reading material, and religion. Most of the disputes marked have occurred when schools and/or districts have disallowed elements of Christianity i.e. Christian prayer, Christian hymns sung during “holiday” programs, etc. The justification often cited for disallowing a Christian influence is the misapplication of the separation of church and state. There is, however, a double standard in the way religions are being handled in U.S. public schools. While Christianity’s influence is increasingly diminished within the public schools, Islam’s influence is escalating. A glaring example of Islam’s favored status was reported by ESPN from a public high school in Dearborn, Michigan. In 2010, Ramadan, a month long time of daylight fasting observed worldwide by Muslims, happened to coincide with the beginning of football practice for the Fordson High School team. The team, winner of four state titles, after receiving “approval of school and district administrators and the blessings of players, parents and police” scheduled their practice sessions from 11 pm to 4 am so that Muslim players, who are allowed to eat and drink after sunset, could participate. The New York Times attempted to equate the religious accommodation for Muslims during Ramadan to Brigham Young University’s refusal to play athletic events on Sunday because of their religious convictions. However, this comparison fails to recognize the stark difference between a decision by a privately owned university and a publicly funded high school. Accommodations for Muslim students are not only limited to the United States. Last April, The Guardian reported three quarters of the schools supported under the Waltham Forest Council (a school system in Britain) serve only halal meat despite the fact that Muslims only make up about 15% of the population of the area. Halal meat is slaughtered using Islamic standards including pronouncing the name of Allah during the slaughter. Only one school in the area serves both halal and non-halal meat. The schools that are serving halal meat to non-Muslim children report that the decision is based upon logistics since many school kitchens are not large enough to store and prepare two types of meat. Valley Park Middle School in Toronto, Canada allows approximately 400 Muslim students to attend imam-led prayers in the school’s cafeteria. The 30-minute prayer service takes place every Friday from November to March – the months in the Islamic calendar when Islamic prayer times are during class times. The school agreed to the arrangement after large numbers of Muslim students were leaving on Friday afternoons to attend afternoon prayer at a local mosque, but then were not returning to school following the short prayer session. Imagine western school systems allowing Christian prayer sessions during Advent or Lent, which would certainly be equal treatment, but most likely meet with much opposition. The greatest threat to western society is not through open war with Islamists, but through the gradual indoctrination of westerners. What may appear to someone who is not familiar with the teachings of Islam as an accommodation is actually a surrender of the freedom of thought and religion to a system that does not allow such freedom. When western public schools disallow Christian prayers and Christmas programs, yet embrace and encourage Islamic prayer and traditions, they are already operating under Islamic sharia law. In the next few months Best Current News will be exploring other methods Islamists are using to subvert the hearts and minds of our greatest blessings – our children. One of the best ways to accomplish these goals is through donations to western universities around the world. Muslims have poured millions of dollars into our universities. This money has influenced Middle Eastern study departments, academic chairs and even curriculum taught. According to Brigitte Gabriel, founder of ACT for America, prominent U.S. universities receiving Islamic money include Georgetown (28.1 million), Harvard (22.5 million), University of Arkansas (20 million), Cornell (11 million), Berkley (5 million), MIT (5 million), Texas A&M (1.5 million) and others such as Rutgers, Columbia, Princeton, UC-Santa Barbara, John Hopkins, Rice, American, USC, UCLA, Duke, Syracuse, Howard University plus many others. In addition, six U.S. universities have established a permanent relationship to the Qatar Faculty of Islamic Studies (QFIS). The universities are Texas A&M University, Weill Cornell Medical College, Georgetown University of Foreign Service, Virginia Commonwealth University of the Arts, Carnegie Mellon University and Northwestern University all located in Qatar. Typically American universities having a presence in other countries is not unusual, however the Qatar Faculty of Islamic Studies has some other interesting connections. The website for the QFIS lists among other specialized centers, the Al-Qaradawi Center for Islamic Moderation and Renewal. In addition the newest QFIS research center is to be headed by Tariq Ramadan. Ramadan’s grandfather was Hasan Al-Banna, the founder of the Muslim Brotherhood. Ramadan was banned from the United States under the Bush administration for his ties to terrorism, but the Obama administration lifted the ban in 2010. Al-Qaradawi, spiritual leader of the Muslim Brotherhood, lived in Qatar prior to his return to Egypt after the fall of President Mubarak. While in Qatar, he amassed great wealth as the shariah advisor to the Bank of Al-Taqwa. The universities receiving money and partnering with the Muslim Brotherhood is further evidence of how deeply the educational sphere of influence has been infiltrated by those with an Islamist agenda. Most importantly, these institutions are training our future leaders in government and media. Ask God to reveal the “deep and hidden things” (Dan. 2:22) that is in many of our universities and bring it to the light. Pray that parents, alumni, and students around our nation will see the truth behind the Islamist agenda in their schools and demand administrations turn down any money that is given to teach propaganda rather than facts. Pray that God will raise up parents, alumni and students in each university that has been infiltrated by the Muslim Brotherhood to demand investigations into the influence of any monies given. Pray that God will strengthen Christian universities around the nation – teaching the truth to young men and women of God and the necessary skills to lead others on a righteous path. On September 6, 2011 the newly formed Claremont Lincoln University officially opened. “Claremont, a Methodist institution dating back to 1885 has partnered with the Islamic Center of Southern California, the Academy for Jewish Religion and the International School for Jain Studies” [Jain is an Indian religion] to create the world’s first interreligious university. This is the first multi-religious program of its kind offering a curriculum that allows religious leaders to cross-enroll in programs that train Christian, Jewish and Muslim religious leaders. Other Christian institutions such as Hartford Seminary train imams, but this is the first to include Jewish and Jain studies. The university hopes to eventually add Hinduism and Buddhism studies to the project. In order to understand the basis for this university, it is helpful to look at the founders. Rev. Jerry Campbell, Rabbi Mel Gottlieb and Imam Jihad Turk are the co-founders of this new model of education. These three men met regularly each month for a year picking a theme, preparing and then spending a couple of hours with each other discussing what their various texts said. For this session, Imam Turk chose a text from the Quran that is often interpreted as meaning that those who don’t believe in Islam cannot obtain salvation. He pointed out, however, that capitalizing the word Islam in this case is a fundamentalist translation. It implies that those who believe the religion of Islam are superior. Other texts in the Quran (such as 2:62) contradict that assumption. In fact, said Imam Turk, the correct scholarly translation of this text is to spell islam with a lower case “i,” using the word’s literal meaning: submission/yielding (to God). Since Christians, Jews and other spiritual people, as well as Muslims, yield to the Divine, they are all included in the word islam. So according to at least one of the founders he believes all spiritual people are included in Islam. In addition, Imam Turk left out the Qur’anic verses preceding sura 2:62 that basically says if Arab pagans, Jews and Christians are in doubt concerning the Qur’an they should fear the fire of hell which is prepared for disbelievers (sura 2:22-24). Pray for a move of God’s Holy Spirit among the students at this and other universities around our nation. Pray that the God of Truth will reveal Himself to every student and professor who have ever confessed the name of Jesus Christ as Savior in such a way that there is no room or desire for compromise. Pray that Muslim, Jewish and Jain students at this historically Christian University will have an encounter with the God of John Wesley and the fire of His Spirit that will fundamentally change the atmosphere of the academic world. As children across the nation soon return to the classroom after the summer break, it is an excellent time for parents, grandparents and other loved ones to become aware of what our children are learning. This is especially critical regarding the religion of Islam. It is certainly valuable in our increasingly global economy to understand the dynamics and culture of other parts of the world and learning about religions as part of that study is an integral part. As Christians we must insist however that any study of other religions is done in a way to fairly and truthfully educate students and make sure it is indeed education instead of indoctrination. ACT for America has done an excellent, extensive review of the treatment of Islam in American textbooks. They reviewed and analyzed the treatment of Islam in thirty-eight American textbooks ranging from the 6th to 12th grade level. These are textbooks currently in use in public schools across the nation. Their findings are alarming and need to be addressed by individual schools, school boards and states across the nation. Overall the amount of information in textbooks about Islam has increased while the amount about Christianity has decreased. Both of these statements are false. Shariah law imposes many burdens and restrictions on Christians and Jews. Under shariah law Christians and Jews cannot build new houses of worship or even make repairs to existing ones. They cannot bear arms, ride horses, pray (if the prayer can be heard by a Muslim) or give testimony in Islamic courts. During certain periods of history, Christians and Jews were required to wear clothing or a badge signifying their non-Muslim status. Unfortunately, American textbooks are full of examples like this. In our society where Christianity is continually attacked for being “intolerant”, children across our nation are being taught inaccurate, and sometimes blatantly misleading information about a religion, which truly is intolerant of other religions. If you have a child in school, take the time and investigate the information regarding Islam in their textbook. ACT for America’s report can be downloaded at this address. Pray that our schools will be used solely for the purpose of education and not indoctrination. 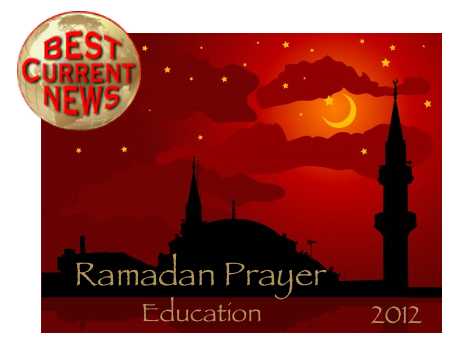 Pray that parents around the nation will begin to demand an accurate portrayal of Islam and other religions in our schools. Pray that students across the nation will begin to see that there is a difference between the teachings of the world’s major religions and will be drawn to Truth. Today’s universities are increasingly distancing themselves from the vision of Thomas Jefferson. This is especially true when you examine certain groups such as the Muslim Student Association (MSA) that are present on many campuses. Jefferson’s desire for the human mind to be free allows students to follow truth, but when this western mindset of freedom to pursue truth meets Islam there is a clash of mindsets. The religion of Islam presents itself as absolute truth and unlike Christianity does not allow its followers to question its teachings. Both the Qur’an and the hadith warn Muslims not to question Islamic teachings. The Qur’an says “A people asked such [questions] before you; then they became thereby disbelievers” (sura 5:102). In the classic manual of Islamic Sacred Law, “The Reliance of the Traveller” it says that to deny any verse of the Qur’an, or anything which by scholarly consensus belongs to it, is apostasy from Islam, which is punishable by death. Perhaps even more tragic is the refusal of western universities to insist their students employ reason to combat error when it comes to Islamic issues. Rather than insisting students examine issues and form opinions by considering differing viewpoints and engaging in respectful dialogue, universities far too often attempt to be politically correct and tolerant in their treatment of the Islamic religion and Muslim views on political and social issues. How can our institutions of higher learning follow truth when they are unwilling to allow reason to even be voiced much less considered? A recent example occurred when speaker and author, David Horowitz was invited to the University of North Carolina at Chapel Hill to discuss the increasingly dangerous position of Israel in the Middle East. The Daily Tarheel, the campus newspaper, reported nearly all the students in attendance for the lecture walked out about 20 minutes into Mr. Horowitz’s speech. However, another report says the majority of the students stayed for the entire lecture. The closed-minded students – mainly but not exclusively members of MSA – who came not to listen to what I had to say but with the intention of walking out on cue exemplified an attitude that is all too common on campuses today. The intent of these “protests” is to defame a speaker whose views they oppose but cannot answer intellectually. Rather than respecting Mr. Horowitz’s opinion and engage in the question and answer session that followed his speech, this group of students left. This is not the first time a group of Muslim students have left such a gathering. In February of 2010, eleven students that were part of the Muslim Student Union at the University of California Irvine disrupted and walked out of Israeli Ambassador Michael Oren’s speech. Because their actions were disruptive and stopped the Ambassador from being able to continue to speak, 11 students were arrested and the Muslim Student Union was suspended for an academic quarter. The school obtained e-mails that showed the group, “planned, orchestrated and coordinated” the protest. Far too often those who disagree with the Islamic viewpoint on issues are the victims of insults and personal attacks in an effort to silence them. There can be no dialogue, education nor reason in such environments, only delusion. • Pray those that are the victims of these attacks will continue to be invited to campuses across the country and will continue to speak truth. • Pray that Muslims attending universities will begin to examine the teachings and political stands of their religion. • Pray that God’s TRUTH will resound across college campuses throughout our land. • Pray that Thomas Jefferson’s words will become reality – that our universities and colleges will not be afraid to follow truth wherever it may lead.